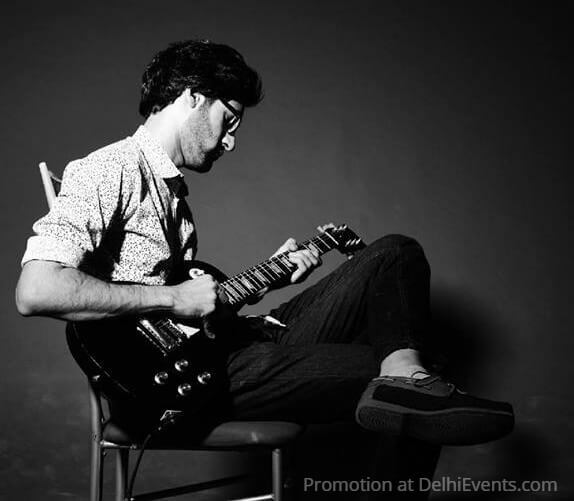 Mukul Jiwnani is a Singer-Songwriter, Guitarist, Beatboxer, Keyboard player, Drummer and Pizza Enthusiast. Playing since 2005, Mukul started performing in 2012 at various venues in Delhi, Mumbai, Banaras and even in Russia. He has previously released an EP with songs of various genres, with his main act 'Emenes' and they have recently released a track on Apple Music and other streaming apps. He recently opened for world renowned artists ‘Amit Trivedi’ at IIT BHU, Varanasi, and ‘Kailash Kher’ an IIT Delhi at their annual festivals. His artist influences range from Eric Clapton, B.B. King, John Mayer, Red Hot Chili Peppers and Led Zeppelin all the way to Paul Gilbert, Steve Vai and Buckethead amongst many others.